The not so pleased lime cat or melon cat or helmet cat wears a natural cut-up lime and is hardly found in a good mood. 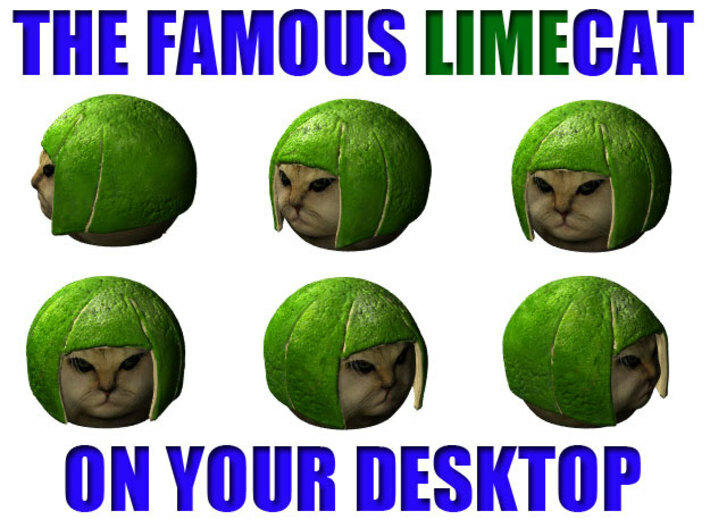 Usually known to frown or show anger, limecat became an internet sensation with thousands of users linking and posting funny one liners as captions. 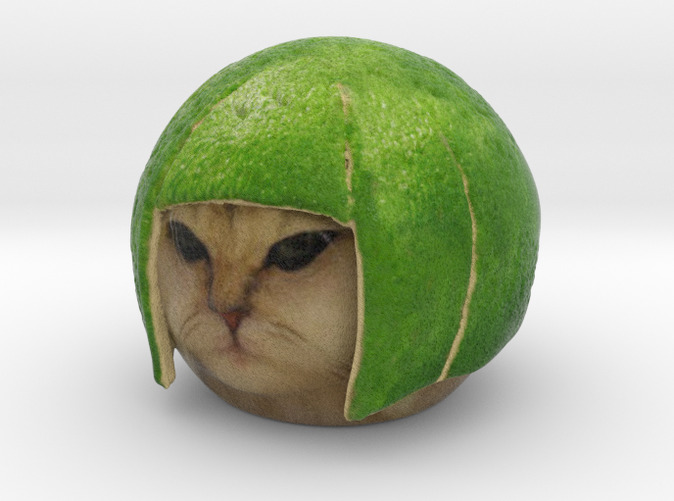 It has many variants such as melon cat, watermelon cat, lemon cat, bread cat, etc. 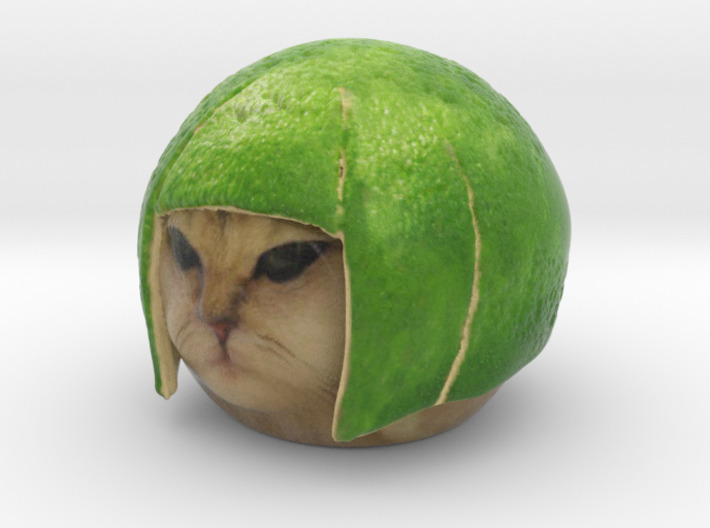 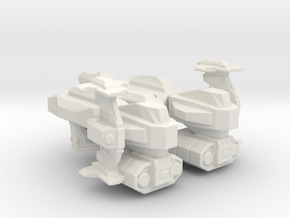 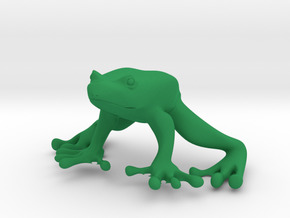 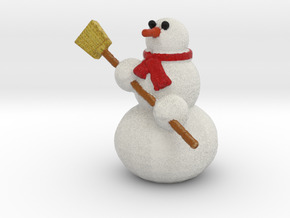 This model is a realistic looking limecat ready to be 3D printed in sandstone material.